Just what I needed. Great post. It IS really important to reach out for Him when you don’t feel His presence! What a good message to be sending! Your faith makes me smile. Thank you for sharing this. It is just what I needed to read right now. My family and I are going through a changing season in our lives and this reminded me that even in the chaos we are right where God wants us to be. God bless you. Thank you. He already is. We can feel it. Keep loving. Keep shining. Keep sharing. Keep doodling. Out of the overflow of the pencil can the heart speak…. Thank you! I needed those words because I often grow fatigue from creating doodles. God bless! Together, one mind at a time, let’s see how many people we can impact, empower, uplift, encourage and perhaps even inspire to reach their fullest potentials. Amen to this truth! Thanks for checking out my blog…I’m enjoying yours too! Thanks for posting this. Sometimes, it can get lonely both outside and in when you don’t feel God’s presence. 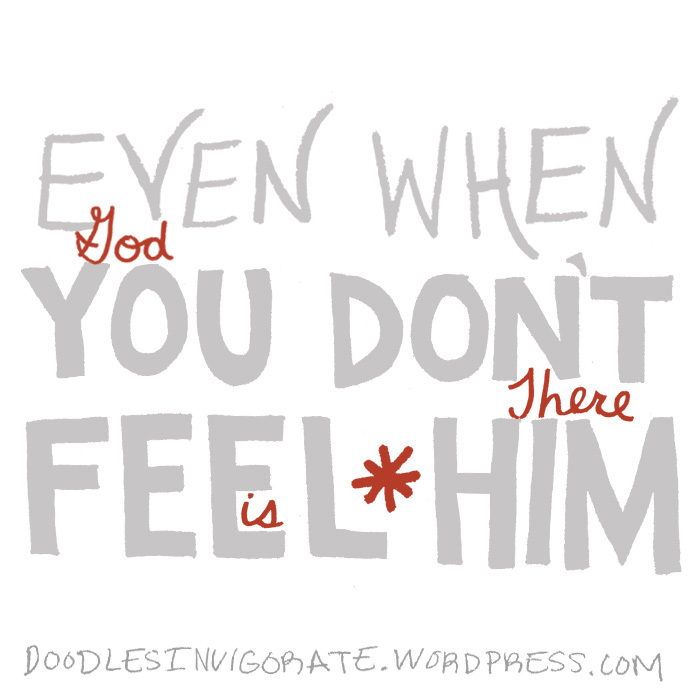 I agree but knowing he’s there even when I can’t feel it brings great comfort. Your doodles with your thoughts are a great way to share with others! I also enjoyed browsing through your design images. Inspiring words we all need to remember, Shannon. Thank you Jonna! God bless!